Nostalgic, Canadian-made fantasy film Turbo Kid is about to be celebrated by the movie lovers at Death Waltz. The imprint has announced it will issue a two-song 7-inch featuring film music from Montreal synthwave act Le Matos. 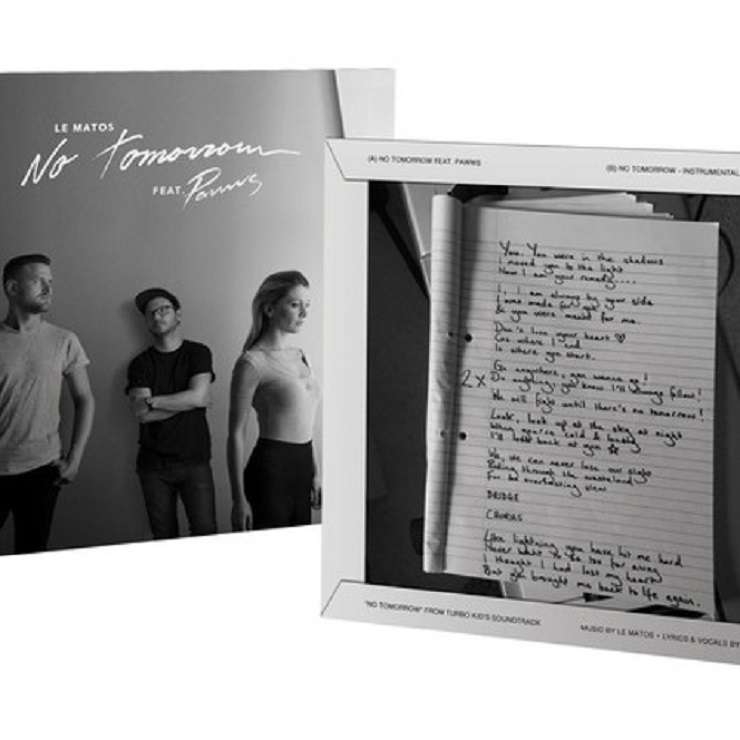 A vinyl single of the pair's "No Tomorrow" will be up for grabs on Wednesday (August 26). The A-side will feature the original version of the track, which is sung by Pawws, while the flip hosts an instrumental version. A press release praises Le Matos' "'80s synth music with a modern techno twist," comparing it to Daft Punk and "John Carpenter at his funkiest." The single is being offered up in a limited edition of 700 copies on "blue heavyweight vinyl." It's added that Death Waltz will issue a full soundtrack for Turbo Kid later this year. In the meantime, you'll find a stream of "No Tomorrow" over here. You can read Exclaim! 's review of filmmakers' François Simard, Anouk Whissell and Yoann-Karl Whissell's Turbo Kid over here. In related news, Mondo is also apparently set to issue a vinyl pressing of Clint Mansell's score to Darren Aronofsky's 2010 film, The Black Swan. Aronofsky himself tweeted a pic of the release, which will apparently come out on clear vinyl. The label has not yet formally announced the release. Le Matos Premiere New 'Summer of '84' Song "Cold Summer"